Follow MACS on our new App!! Keep up-to-date on all things going on at MACS through our new App. It is very easy to set-up. Step 1 - In your Google Play store, search "School News" by Edlio. Step 3 - Once the application is installed, open the application. 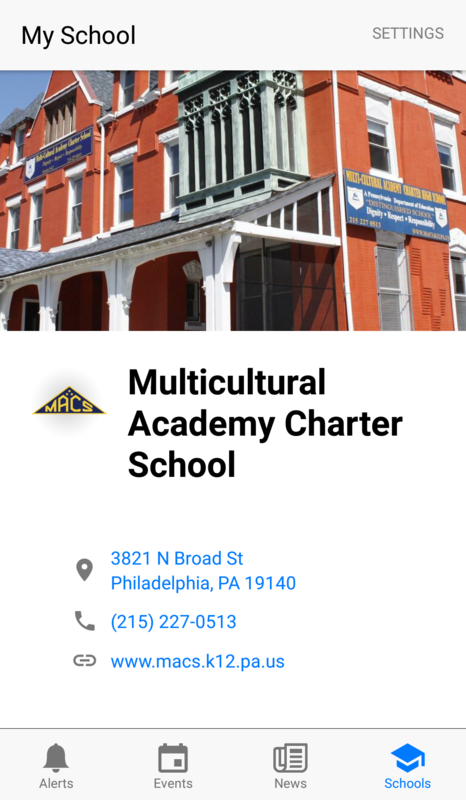 Step 4 - In the "Search by name", Enter "Multicultural Academy Charter School". Step 5 - Hit the blue button labeled "+Add School" at the bottom of the screen and you are done! This will help you keep track of the school calendar along with the latest news.